Halfbike 2 vs Halfbike 3 | Halfbike | The compact and light standing bike, anywhere with you! 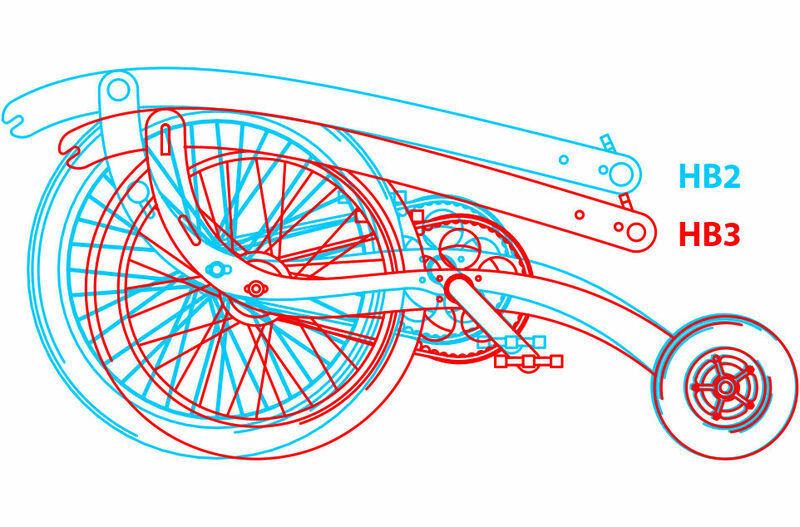 The image above makes a size comparison between Halfbike 2 (in blue) and Halfbike 3 (in red). 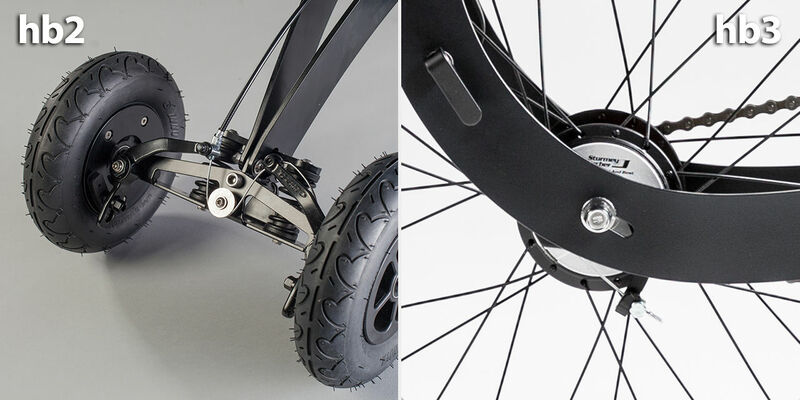 The front tire on Halfbike 3 is 18" compared to 20"on the Halfbike 2. As a result, the Halfbike got more compact and it is now even easier to take it anywhere with you. More gears plus increased gear range. Halfbike 3 is now better suited to anything a city could throw at it. 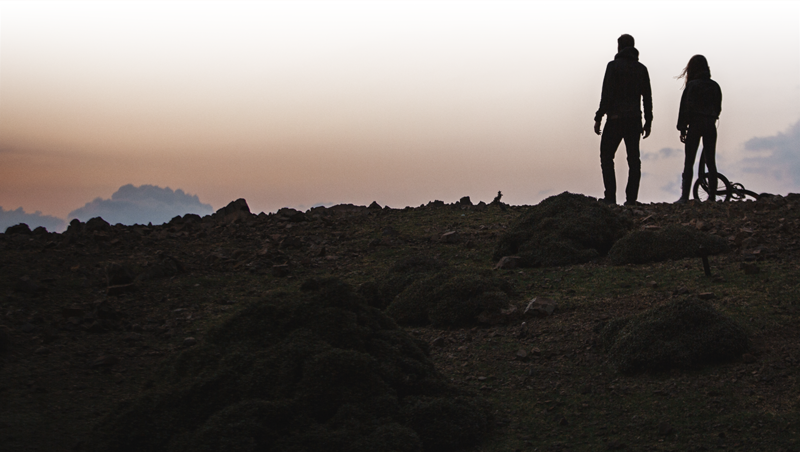 You can ride comfortably on an even more diverse terrain. A new state-of-the-art hub by Sturmey Archer makes all this possible. It has 4 gears (compared to 3 on Halfbike 2) and larger gear range (210%). The gear ratio on 1st gear is similar on both Halfbike 2 and 3. So, the extra gear range goes towards the upper spectrum, making it better at maintaining higher speed for longer rides on flat ground with less effort. Last but not least, the new hub is more silent and lacks the distinct clicking noise that Halfbike 2 had. Halfbike 2 has a modified U that locks the rear wheels. 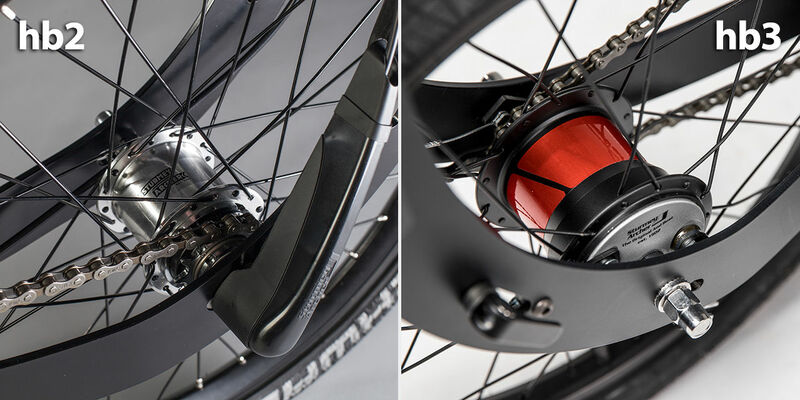 Halfbike 3 has a drum brake integrated into the front hub. It stops really efficiently now and the brake is working perfectly even for emergency stops. The new brakes are pretty much maintenance free and the performance will stay consistent with time and in all weather conditions. We added a quick release system for even easier folding. Folding uses the same principle as on Halfbike 2, but you can now do it faster and effortlessly. All people who have tried the prototypes say that the new model is easier to handle and more intuitive. 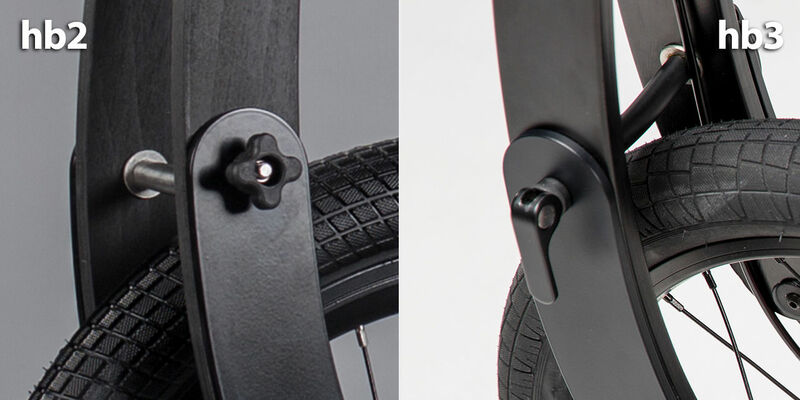 There are subtle changes to the Halfbike’s geometry and proportions. They all add up making it more maneuverable, ergonomic and user friendly.